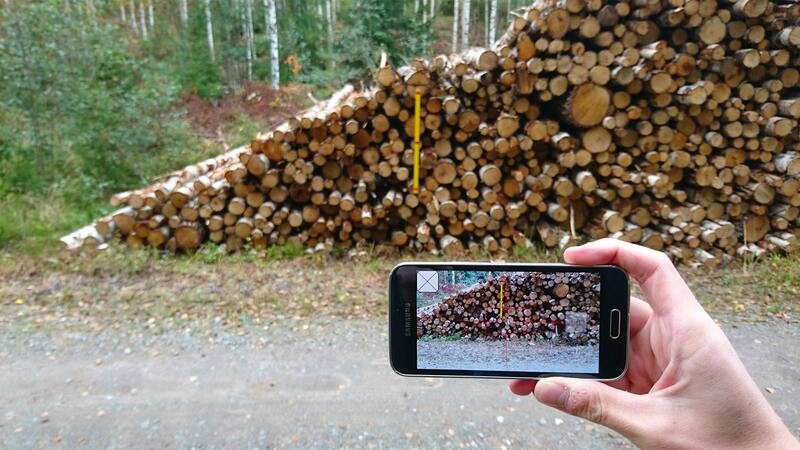 of roundwood piles using pictures taken with your smartphone or tablet. 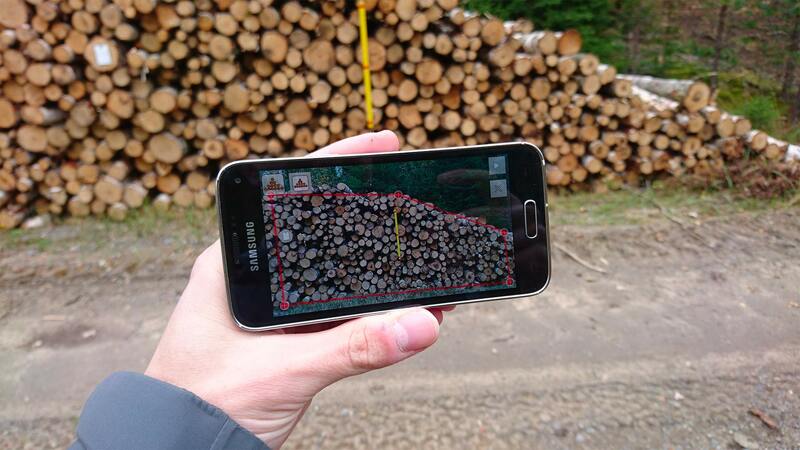 Use TRESTIMA application to shoot a picture of the pile. TRESTIMA-yardstick or similar needs to be visible in the picture. Mark roughly the area where log heads are searched by the machine vision. Mark your yardstick carefully in the picture (only needed when official TRESTIMA yardstick is not used). Piles that can’t be fitted into single picture can be measured with several pictures. The system doesn’t need to recognize every log head as the calculation is based on pile’s surface area, log length and automatically defined coefficient factor for density.